November 27th 2018 - There was only one thing Gene Fieger could do after he saw his streak of four consecutive South Florida PGA Senior Player of the Year Awards end last year. Start another streak. And he did. The 58-year-old PGA Director of Golf at Club Pelican Bay relied on his usual consistency to reclaim Senior POY honors in the ultra-competitive South Florida PGA Section, his fifth in the last six years. Fieger had a pair of victories, three seconds and five additional top-five finishes in the Section to return to his spot at the top among the 50-and-older players. “It’s always good to win this award when you are a senior because you reach an age where you wonder how long can I do it,” Fieger said. “When is an injury going to come? When am I going to lose some of my skills? It’s nice and comforting to win again.” Fieger has a simple formula for his success: Hit almost every fairway, stay proficient with his long irons and keep his chipping game sharp. “It’s hard to make worse than a bogey when you’re always in the fairway,” Fieger said. Fieger can also go low. He shot an 8-under 64 to help him win the Florida Senior Open for the second time, by seven shots. Interestingly, he says he practices very little, preferring to keep his game sharp by playing. Maybe that’s an approach more of us should take. Despite his talent, Fieger said he never dreamed of playing on the PGA Tour. He enjoyed being a PGA Professional, spending time with his family and keeping his competitive juices filled locally. “The money wasn’t that great back then (on the PGA Tour),” Fieger said. 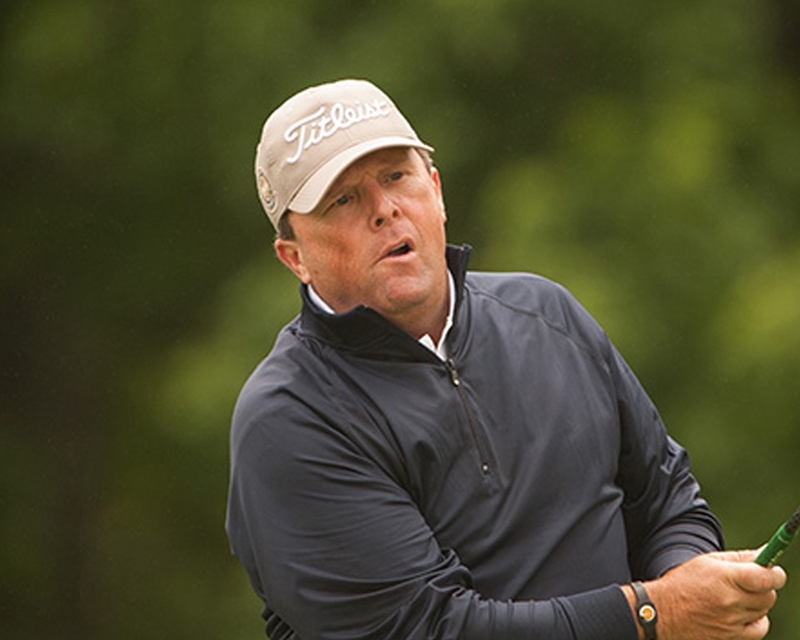 “I had a job I liked – and I still do.” At 58, is Fieger capable of winning three more POY awards to match his streak? With five POYs, only Jerry Tucker (six) of Stuart has won more. “As long as I stay healthy, I don’t see why not,” Fieger said. “I’ve been fortunate with injuries. I’ve never had to withdraw from an event because of a golf-related injury like a neck or a shoulder.” Once again, Fieger was head and shoulders ahead of his Senior peers in the South Florida PGA in 2018.